When it comes to body aches and pains, we think about our nerves and muscles but may not focus enough on the role our connective tissues, or fascial tissues, play in our overall physical and mental health. At Integrative Wellness Center, Mary Uebersax offers The MELT Method® (MELT®) focused on how our fascial tissues impact our mind and body fitness. This specialized therapeutic bodywork helps our clients to gain and keep mobility and flexibility and live a more pain-free life. Because it is a customized program, MELT® is appropriate for all ages and levels of fitness and flexibility. Those who are already in fitness programs or using a personal trainer will find that MELT® complements those efforts, enhances their abilities and speeds their rate of improvement and achievement. Natural pain relief programs with MELT® include personal coaching, training and tools. MELT® is a simple program designed to create and maintain a healthier, more active and youthful wellness for life. MELT® can be customized to a person's particular needs – from improving flexibility and mobility to minimizing the risk of repetitive stress injuries to eliminating chronic pain with natural pain relief. 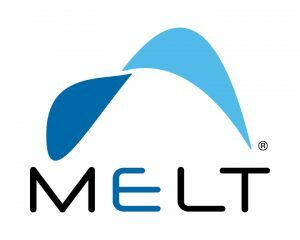 How does the MELT® program work? The MELT Method® reactivates, rejuvenates and rehydrates connective tissues. MELT® uses gentle tools to encourage fascial tissue remodeling. The compression quality of the specialized MELT® balls and rollers apply a variety of touch techniques to help regulate sympathetic to parasympathetic tone, improve heart rate variability and fine-tune motor control. MELT® also educates and self-empowers with a program that is fun and engaging to encourage lifelong self-care. Like personal training or yoga therapy, Uebersax applies skill and a keen understanding of the body to guide patients in a routine, or MELT® Map, that can become the basis for self-care. Just 10 minutes of MELT® three times a week is enough to experience natural pain relief and reduce accumulated tension and stress. Reduce pain. Increase mobility. Feel better. Why are connective tissues important for my health? Connective tissues are found throughout the body, surrounding and supporting other organs and structure, forming a framework and support for organs, tissue and bones and allowing movement in our joints. Connective tissues also store fat, transport substances, protect against disease and help repair tissue damage. Ligaments bind one bone to another while tendons surround muscles and anchor them to bones and other structures. The fascia, however, is a band or sheet of connective tissue beneath the skin that attaches, stabilizes, encloses and separates muscles and other internal organs. The fascial tissue is similar in composition to ligaments and tendons with collagen as the major component. How does MELT® affect the body? The ultimate goal of MELT® is to improve your body's ability to restore balance and repair itself, which can create remarkable, lasting changes. MELT® offers holistic natural pain relief, allowing you to address the root of chronic pain rather than mask the symptoms. MELT®'s unique before and after self-assessments encourage self-empowerment and self-knowledge. Who is a good candidate for MELT®? MELT® is for anyone who is interested in natural pain relief and wants to slow down the aging process. It is ideal for women and men over 40 who want to stay active, mobile and independent. MELT® can also be incorporated into health and fitness routines for active younger adults and athletes who want to achieve optimal performance and reduce debilitating wear and tear. The Melt Method® helps a woman's body prepare and support the many changes you will experience during pregnancy. 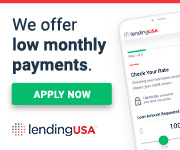 What benefits will I see from MELT®? People who MELT® regularly find that they feel motivated to do more because they feel good, have more energy and experience less pain. If you want to kick-start your wellness routine, gain mobility and flexibility or find natural pain relief, or enhance your fitness progress and performance, call us today to learn more about what MELT® can do for you!